How the muscle grows ? To begin with, we need to be familiar with our motor units. Simply put, a motor unit is the group composed of the motor neuron and the muscle fibers it innervates (as seen in image 1). Small motor units involve a small neuron innervating small muscle fibers that are suited to low intensity and long duration exercises (endurance and cardio training). On the other hand, large motor units involve larger motor neurons innervating larger muscle fibers that are better at producing high force and high velocity movements over shorter periods of time (strength training and sprint/jumping sports). When it comes to increasing muscle fibre size (getting gainz), larger muscle fibers have greater growth capacity, so we need two things: to recruit larger motor units AND a slow contraction velocity. This slow velocity is important because it allows more cross bridges to form which will generate more tension. And we know this because jumping/ plyometric exercises recruit larger motor units but do not increase muscle size. And this slow speed is not voluntary, you are trying to move the weight as quickly as possible but the load and/or fatigue is slowing you down. To achieve this large motor unit recruitment at a slow velocity we can either lift heavy loads or moderate/light loads until fatigue. Let’s start with heavy loads. Lifting a 1-5RM (Maximal Repetition) or >85% of 1RM* typically involves full motor recruitment on all reps of a set and also involve moving with a slow speed due to the load. Where as when we lift moderate (8-15 reps before fatigue) or light loads (15 to 30 reps before fatigue) it is only the last ~5 reps where fatigue kicks in and slows contraction velocity which forces the larger motor units to be recruited. Prior to this, large motor recruitment is not high enough and contraction velocity is not slow enough. I say ~5 reps but this could be slightly less or slightly more depending on the individual. So if muscle building is the goal, instead of measuring volume as total reps x sets, we should be measuring the “stimulating” number of reps where larger motor unit recruitment is high and contraction velocity is low. So this will be all of the reps when lifting up to a 5RM, but only the last 5 reps of a set when lifting moderate to lighter loads. This means when lifting loads heavier than 5RM, you will to complete extra sets to compensate for the smaller number of “stimulating reps”. But when lifting lighter loads, you will get ~5 stimulating reps per set regardless of the number of reps of weight used (as long as the set is taken to fatigue). 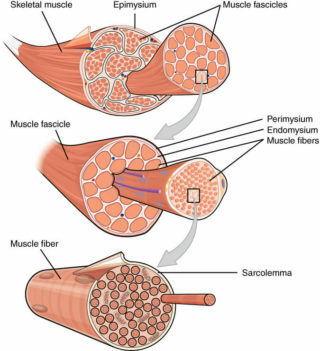 For muscle growth to occur, sarcomeres need to be produced by the muscle cell and can be added in parallel to other myofibrils which would increase the diameter of the fibre, or in series, increasing muscle length. And it is typically eccentric contractions and training at longer muscle lengths that promotes longitudinal hypertrophy. There are thought to be three primary mechanisms for this exercise-induced muscle hypertrophy to occur. These are mechanical tension, metabolic stress and muscle damage. Schoenfeld (2010) has identified that this is the primary mechanism of muscle hypertrophy and it occurs through a process called mechanotransduction. When a muscle fibre contracts, the sarcomeres within it shorten in length and bulge out from the sides. This physically stretches the wall of the muscle cell which is detected by stretch receptors as a threat to it’s structure. This tension then leads to the activation of several myogenic (muscle building) pathways such as mTOR, MAPK and calcium dependent pathways. The downstream effects of this is an increased production of sarcomeric proteins. 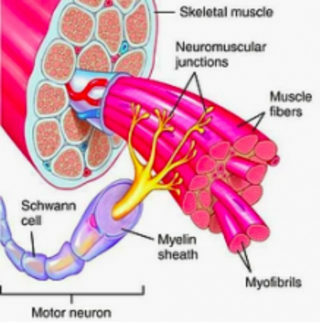 And when the mechanical tension is great enough, the satellite cells we mentioned earlier become active and bind themselves to myofibrils to donate their nucleus, giving the muscle more machinery to produce more protein! 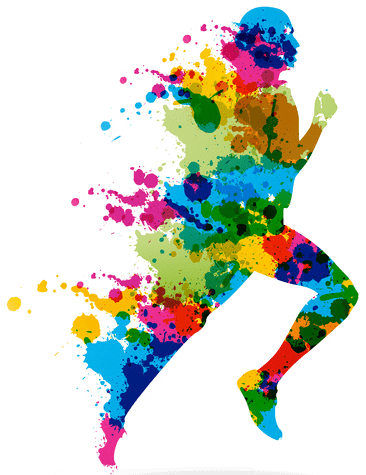 Metabolic stress is another well known mechanism and occurs when lactate and other metabolites accumulate in the cell as a result of anaerobic glycolysis (using glycogen faster than oxygen can be delivered). In a resistance training context, this is training with higher reps and shorter rest periods to get that glorious pump. This is also how occlusion training works. It was long thought that this type of training caused growth through an acute increase in growth hormone production however Morton et al. 2016 showed no correlation between the these events. What most likely happens from this form of training is several things. 1. Metabolites such as lactate and hydrogen ions will accumulate and draw water into the cell through osmosis causing swelling. This swelling then stretches the wall of the muscle fibre and the same process as above occurs. 2. The accumulation of metabolites also causes fatigue in the muscle by reducing the release of calcium from the sarcoplasmic reticulum and also by reduced the sensitivity of actin and myosin to calcium. This increases the activation of higher threshold motor units and their associated larger muscle fibers which are capable of generating more tension and therefore more stretch on the cell walls. 3. Muscle fatigue also slows contraction velocity which allows more time for cross bridges to form and therefore more tension and again, more stretch. Trauma to muscle cells was long thought to be a major contributor to muscle hypertrophy. However, the research presented above has shown that the primary mechanism of muscle hypertrophy is in fact mechanical tension. Now whether or not muscle damage augments this hypertrophy is still yet to be determined. On one hand, there is theoretical rationale linking exercise induced muscle damage to hypertrophy via the activation of satellite cells, up-regulation of the IGF-1 system and the activation of myogenic pathways. But on the other hand, the muscle has to use valuable energy producing proteins to repair the damage before any of the proteins can contribute to increasing fibre size. So there you have it! But what does this mean for your training if muscle hypertrophy is a goal? Well it’s probably best to use a combination of increasing mechanical tension as well as inducing metabolic stress. To increase mechanical tension you need to do something very simple but very overlooked by many health practitioners…. progressively overload your volume load (sets x reps x load). This means increasing the weight and/or volume you are lifting… and note that muscle growth doesn’t just happen between 8-12 reps (more on this in my next blog).